and brought nationwide popularity to the Nashville combination of layered fish filets on white bread with mustard, onions, pickles, and hot sauce. He says that he added cheese at the request of many out-of-state Fisk students who frequented the establishment. 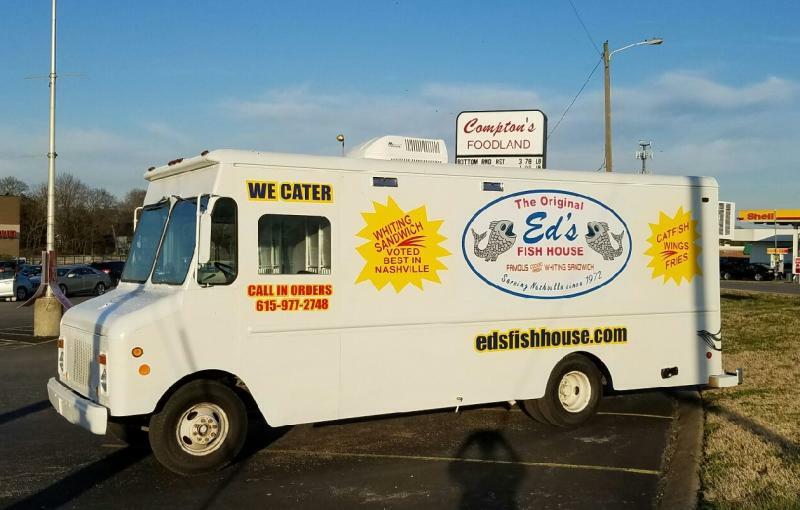 To this day, a visit to Ed's Fish House is a must-do when Fisk, TSU, and Meharry graduates return to Nashville for reunions and homecomings. We are excited to debut our new mobile unit designed by Ed, personally. Come see him on Thursday evenings from 5pm-8pm and let him know what you think. New look, same great taste!